Welcome to the 497th Edition of my series. Last friday was my birthday and had to work an evening shift that night so I made this a birthday weekend and has been great thanks to the good friends in my life. I would also like to announce that my good friends Stephen and Ashley welcomed their new son Harrison into the world last Monday night and could not be happier for them. Now onto my selections. Avengers: Age of Ultron (2015): This is part two of a two-part Mark Ruffalo series. I decided to make a rare trip to the movie theaters in order to see this sequel to one of my favorite films. Joss Whedon takes on the directing helm again. In this one, Tony Stark, played by Robert Downey Jr., tried to get a peacekeeping program called Ultron started but things go awry for him when the ruthless robot Ultron, voiced by James Spader, develops an evil mind and tries to target the world. The Avengers must come together and destroy a seemingly impossible target in Ultron. Captain America, played by Chris Evans, Thor, played by Chris Hemsworth, The Hulk, played by Ruffalo, Black Widow, played by Scarlett Johansson, and Hawkeye, played by Jeremy Renner all join Tony Stark aka Iron Man to defeat Ultron. Joining in the battle later is War Machine, played by Don Cheadle, Scarlet Witch, played by Elizabeth Olsen, Quicksilver, played by Aaron Taylor-Johnson, and Vision, played by Paul Bettany. Taylor-Johnson was okay as Quicksilver but thought Evan Peters played the part better in X-MEN: DAYS OF FUTURE PAST This goes more into the personal life of Hawkeye and emphasizes his abilities more in this one. I did not know that the Olsen twins have an older sister Elizabeth but she showed her superiority in acting as Scarlet Witch. Samuel L. Jackson, Cobie Smulders, Anthony Mackie, Hayley Atwell, Idris Elba, Linda Cardellini, Stellan Skarsgard, Thomas Kretschmann, Andy Serkis, Julie Delpy, and many others co-star in this film. I really enjoyed this film. 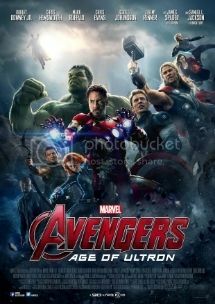 I will say that it did not exceed THE AVENGERS for me but still had some great action and humor for me to enjoy myself. I would have liked to have seen Mackie in action as Falcon but was not really part of the battle. I also liked the development of Ultron more on the animated series AVENGERS: EARTH'S MIGHTIEST HEROES but did not take away from this one for me. For all the characters they had, I thought they did a pretty decent amount of character development but some are already pretty well known with the other Marvel films. 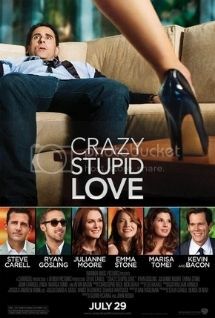 Crazy, Stupid, Love (2011): This is part two of my two-part Steve Carell series. Carell stars as the middle aged Cal whose wife Emily, played by Julianne Moore, wants a divorce. In his new single life he spends a lot of time at the bar and is befriended by Jacob who teaches Cal his ways of picking up women at a bar while trying to understand what happened. They are all dealing with some sort of love even Cal's son Robbie having a crush on his babysitter Jessica, played by Analeigh Tipton, while she has a crush of her own that leads into a lot of misunderstandings and even twists. Emma Stone, Marisa Tomei, John Carroll Lynch, Kevin Bacon, Josh Groban, and many others co-star in this comedy. I really liked this comedy with the characters all having an interesting situation going on in their lives with very funny moments. 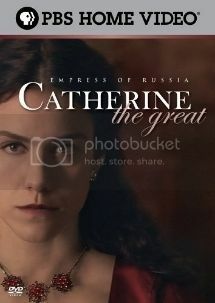 Catherine the Great (2005): This is one of my two documentaries for the week. This is an episode of the PBS series AMERICAN EXPERIENCE. This takes a look at the life and times of the early female ruler of Russia. I did not know a lot anything about her and in fact I thought she was around more in the early AD era but I was wrong, it was the 1700s. This takes a look at her many affairs but also the good things she did for Russia. She was known to be very compassionate but ruthless to her ememies. It looks a lot at her own personal memoirs. Emily Bruni plays the part during scenes like they do a lot on this series which I have always liked. I have been looking more at these PBS documentaries but have focused more on Americans so it was good to check out a foreign leader from this era. I always enjoy this series and this one was very informative as well. 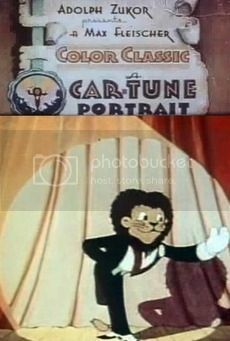 A Car-Tune Portrait (1937): This is my animated short for the week and is from the Fleischers. This shows a lion who appears to be tired of animals being stereotyped for always acting silly and foolish and conducts an orchestra of animals. Things quickly get out of hand when the animals show their true nature and are just having fun. This was a good premise and is work a look for buffs of older animation. This can be found on Youtube. 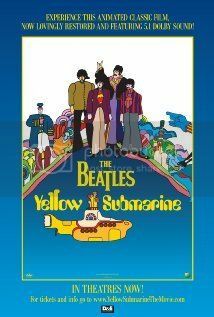 Yellow Submarine (1968): I bring some animated Beatles this week. George Dunning directed this animated film with the story written by Lee Minoff. John, Paul, George, and Ringo all agree to accompany Captain Fred, voiced by Lance Percival, in his yellow submarine to a place called Pepperland and free them from the Blue Meanies. Those who watched wrestling in the 90s are probably thinking of the wrestler that was inspired by this film. This is a very psychedelic animated movie. First you must at least be tolerant of the Beatles. They play a lot of songs from the title album. This is a pretty good animated film and might be better for those who are high. This is kind of an early music video long before MTV. 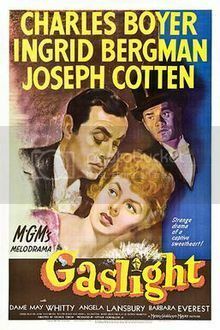 Gaslight (1944): Last week, I showed the British version from 1940 so now I bring the American version. George Cukor directed this version which stars Charles Boyer and Ingrid Bergman as newlywed couple Gregory and Paula. They are moving into a home in which Paula's aunt was murdered 12 years earlier. When moving in, she is experiencing some very unusual happenings and begins to question Gregory who appears to be trying to drive her insane. Joseph Cotten co-stars as Brian who becomes suspicious of Gregory and makes his own investigation. Angela Lansbury makes her film debut as Nancy who is a rather conniving housemaid. Dame May Whitty was very amusing as Miss Thwaites. This is a more expanded version than last week's. Both versions were good but I ended up liking this one better. This was very atmospheric along with good performances. Sunshine Learning (2008): This is part two of a two-part Amy Adams series. Adams stars as Rose who is a single mother and making ends meet as a house cleaner. Her 7 year old is expelled from school and she wants to put him in a private school and looks to find a way to make the money. She learns about a high money-making business venture in the world of crime scene cleanup. She recruits her irresponsible sister Norah, played by Emily Blunt, to go along in her business venture. Alan Arkin co-stars as their father who is always trying to come up with a new business venture in making money fast. Steve Zahn, Clifton Collins Jr., Eric Christian Olsen, Paul Dooley, and many others co-star in this comedy. A lot of this was a character driven film where all the characters have some sort of human issue they are trying to deal with. This also deals a lot with the bond of family while also having some funny scenes. This is a pretty enjoyable comedy that deserves a look. 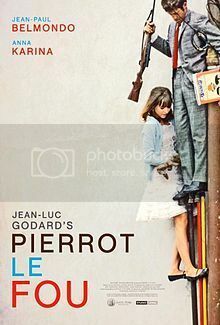 Pierrot Le Fou (1965): This is my French film for the week which was written and directed by Jean-Luc Godard. Jean-Paul Belmondo stars as Ferdinand who has just lost his job and is in an unhappy marriage. He leaves his wife and son with his ex-girlfriend Marianne, played by Anna Karina, who he soon discovers she is being chased by terrorists. They decide to travel and lead an unorthodox lifestyle on the run. This was a bit of a dark comedy with a really good climax. Look for a cameo from director Samuel Fuller as himself. 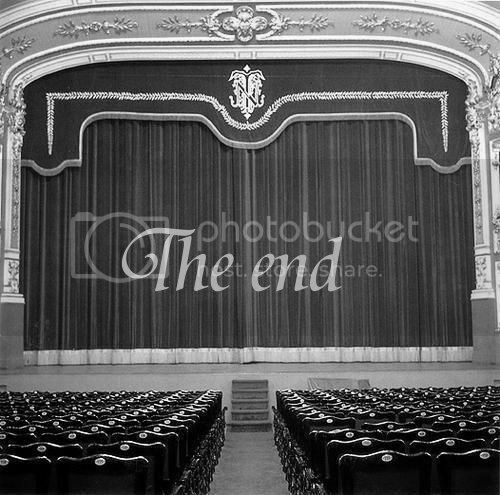 This is one for the foreign cinema buffs. 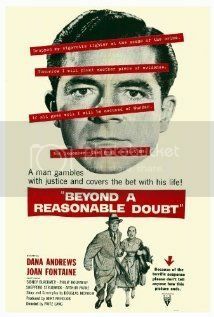 Beyond a Reasonable Doubt (1956): I was looking for something from this era and was very intrigued by the plot. Fritz Lang directed this I guess film-noir. Dana Andrews stars as novelist Tom Garrett and is having trouble with his next book. Sidney Blackmer co-stars as his future father-in-law Austin who is a reporter and strongly against capital punishment suggesting he writes a book about it. They soon conspire to make it where Tom frames himself for the murder of a stripper. They must go to the highest extremes possible in order to get himself convicted knowing the prosecutor will go for the death penalty and in the end they will prove his innocence hoping to get a discussion on abolishing the death penalty. Joan Fontaine co-stars as Tom's fiance Susan. This was a pretty compelling film and was able to suspend my disbelief on this very interesting premise to make a statement on their thoughts of the death penalty. 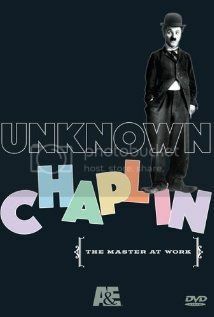 Unknown Chaplin (1983): I end the week with this documentary which is more of a mini-series. James Mason narrates this mini-series taking a look at silent comedy legend Charlie Chaplin and showing rare footage and outtakes of his films. This has some really good footage of rehearsals and goes into some insight about some really good film techniques he used long before the technology of special effects was available. It also shows a short film of a different character he created trying to get away from the Tramp but was not successful which was called THE PROFESSOR. This is a must for fans of Chaplin and film historians in general. This is a pretty good documentary, going more into his life in film and not so much his own life. This could be a good double feature to watch followed by the 1992 film CHAPLIN. Well, that is it for this week. 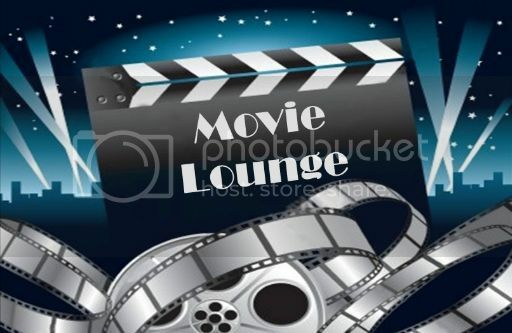 Tell me what you like and dislike and stay tuned for next week which so far includes Mickey Rourke, Jeremy Irons, Mario Bava, Helen Mirren, Sidney Poitier, Ray Milland, and many others.